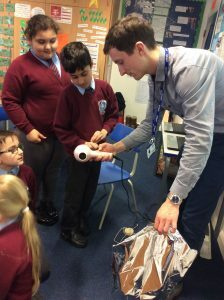 To kick off our British Science Week 2019, we were lucky enough to have a visit from Serish Hussain, a graduate of chemical and nuclear engineering from Leeds University to talk about the importance of careers in STEM (Science, Technology, Engineering and Maths). She highlighted the journey she had to take in order to become a scientist and encouraged our children to follow similar paths to boost STEM careers- particularly girls. 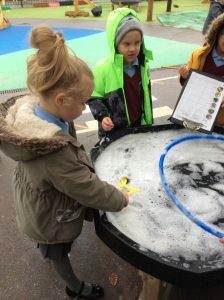 Our Science Week was following the theme of ‘Journeys’. 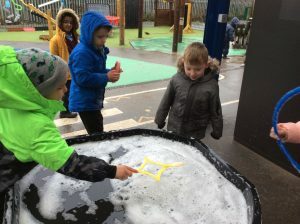 We used the book, ‘Journey’ by Aaron Becker to weave together our English and Science work for the week. 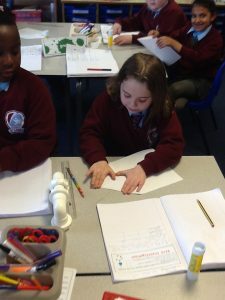 We had three main focuses for each afternoon – Exploration, Investigation and Data Analysis. 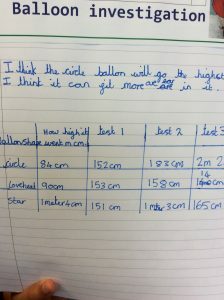 The whole school completed scientific activities that linked with images from the book. 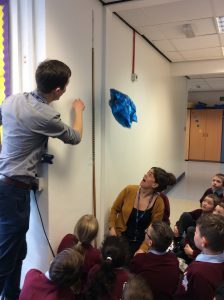 We had children exploring crayons, creating wax melts, investigating hot air balloons and bird watching to create and analyse data! Each year group produced big books to document what they had been doing which were shown off in a finale celebration assembly at the end of the week. 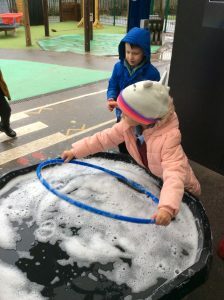 Some of our Year 3 and 6 children were also lucky enough to visit the Science Media Museum where they watched an IMAX film, took part in a WonderLab session and explored different investigations of their own. 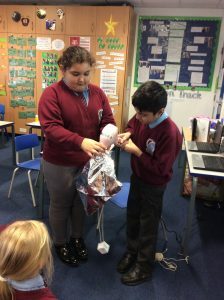 The week proved a great success and many of our children displayed great enthusiasm and interest for the STEM subjects.